Nyala Wonder Travel will take you on a tour among wonderful scents and colors with this special Easter Holiday: Riviera of Flowers Tour. There is nothing better than the fantastic climate of the Riviera for an Easter holiday, with the fragrances of the flowers in bloom, and everyone’s balconies full of flowers in anticipation of summer! Arrival in the late afternoon and check-in to hotel. Dinner and overnight stay. In the morning a visit to Pigna, the old town, originating from the year 1000 and preserved almost intact with its fascinating network of steep,winding little streets. Lunch in a typical restaurant in San Remo, where you can taste delicious local dishes of traditional Ligurian cooking. In the afternoon, we suggest a visit to Bussana Vecchia to discover one of the most attractive locales in the Riviera of Flowers: the remains of a village that was almost completely destroyed by an earthquake at the end of the 1800’s, it has since the seventies been home to a thriving community of talented Italian and international artists. In the morning you can attend Easter Mass celebrated at the Cathedral of San Remo dedicated to San Siro. In the interior there is a beautifully preserved black crucifix dating from 1400. Not to be missed, next to the cathedral, is the Baptistry, built on the ruins of a medieval church, and the Oratory of the Immaculate Conception, faced with multi-colored marble. Following this is the traditional Easter Lunch at an affiliated restaurant. In the afternoon you can visit the Principality of Monaco, with the magical Rocca, found on a precipice overlooking the sea, as well as the Oceanographic Museum, the Cathedral and the Palazzo del Principe. For Easter Monday we suggest you go to Dolceacqua, where you can stroll through the little streets of a picturesque ancient village where you will find the ruins of the castle of the Doria family. At lunch time we would like to take you on a journey right to the center of Ligurian flavors, with a tasting of local specialties. Accommodation in hotel with double room. Three overnight stays with half board. A tasting of typical products in Dolceacqua. Round trip travel, local transfers and anything not included in “our offer includes”. Lunches and dinners are to be chosen according to the daily menu or the tasting menu offered by the chef. The drinks and dishes a la carte to be paid for on the spot. The visits suggested in the program are to be considered as free, i.e. without the services of a guide. 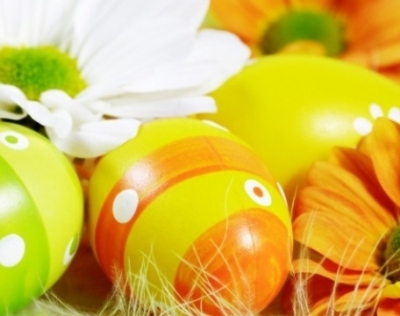 We would like to remind you that the program to spend Easter in San Remo can be tailored to meet your needs and wishes.